Two hills I'm prepared to die on are the superiority of modal editing and the near limitless power and customization of Emacs. You already have flycheck installed or will go read about it and set it up yourself. You are using use-package to manage your package installs and configuration like me, or know how to adapt my examples for your own preferred method. This snippet will get js2-mode installed and set as the default mode for all .js files you edit. It is also setting some indentation preferences and disabling some built in syntax checking options (we'll be leveraging flycheck and jshint). Now we can install jshint for linting / syntax checking purposes. Even though non-lisps don't lend themselves to structural editing the way lisps do, I still like being able to wrap and manipulate parens, braces, quotations, etc with paredit—so I did not want to disable paredit in these modes. "Don't insert a space before delimiters in certain modes"
Emacs is an operating system. 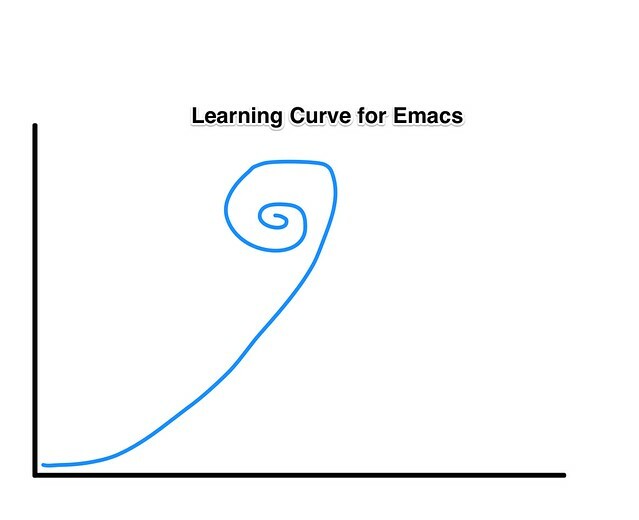 Emacs has a never-ending learning curve. Emacs is a way of life. All of these things are both a joke and largely true. As a die hard Vim fan, I never thought I'd fall into such enthusiastic use of Emacs, yet I have and don't want to look back. I started down this path because of my interest in learning Common Lisp and then Clojure. The Emacs tooling for lisps is superb and once I learned you could configure text editing in Emacs to behave identically to Vim, I set out on my spirit quest. With multiple years under my belt using, configuring, and solving my problems with Emacs, I'd like to start sharing some of these tips, tricks, and use cases. In the meantime I invite anyone to skim through my living literate config below. Since I just recently made a getting started with Clojure in Sublime Text video, I decided to also make a video showing how to get started with Clojure in Github's Atom. I hope you enjoy it as well.